Tracy Goodwin is known around the globe as the go-to expert when it comes to bringing the words to life with your voice. Tracy loves building massive confidence in her students through her teaching and speaking and has a deep understanding of the crucial role the voice plays in captivating the room. Tracy teaches people not only how to tap into their full voice potential but how to get past their fears of using their voice and what it takes to reclaim the real voice that is lying dormant inside. 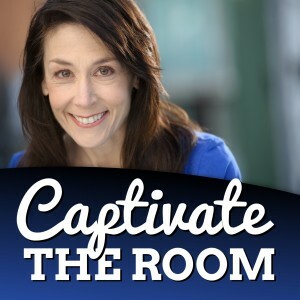 Tracy’s beautiful delivery and inspiring presentations are full of vivid examples of how the voice truly can be the deal breaker in conversation, presentations, video and even water cooler conversation. She teaches by example what true voice power is and why it’s essential to success. Tracy draws from 30 years of training and experience as an educator, entrepreneur, facilitator, and speaker. She taps into her deep knowledge and education and her foundation, her own voice story to show participants exactly what they need to do to catapult their success. Her keen ear for exactly what is going on in the voice and her ability to link it to our past experiences is transformative for everyone who hears her speak. We all have the capability to make a difference, to accept what we are given, to love with our heart and live life to the fullest, or not: it’s up to us.